And it applies to showing appreciation to your employees. It’s a wonderful yet distracting time of year. Business goals, production, and employee engagement can suffer. That makes it all the more meaningful to reward your team. You’ll energize them for the home stretch into the New Year and create lasting loyalty by appreciating their role and contribution to your bottom-line. No doubt, the holidays are stressful. 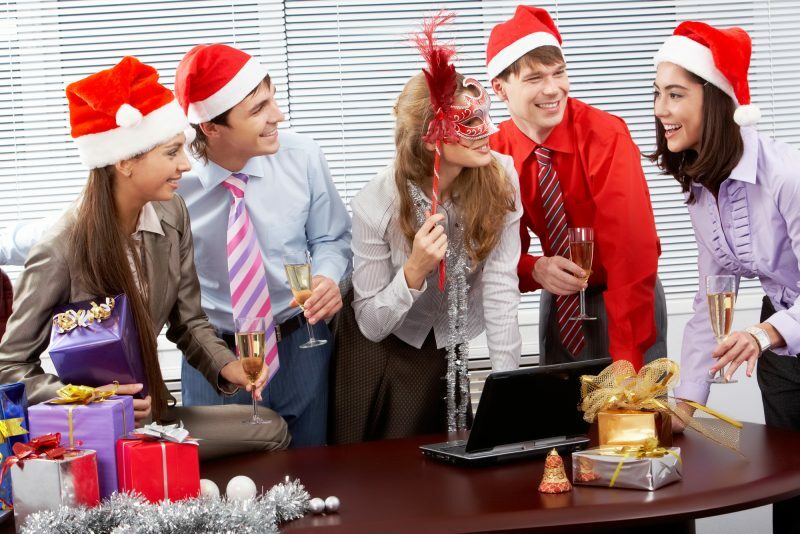 Healthline confirms that over 60% of employees feel increased stress during the holiday season. Are any of your clients or vendors licensed massage therapists or spa owners? Bring them in for a spa-day during a lunch period. Provide free neck or shoulder massages and/or manicures and pedicures. Purchase gift wrapping supplies. Set up a wrapping zone in a convenient corner of your office/facility. Encourage your staff to bring their personal gifts for wrapping during their break or lunch hour and save time (and stress) on this holiday necessity. And…who doesn’t appreciate a free meal or snacks? Again (to save on costs), scan your client and/or vendor list for those in the restaurant or food service industry. One or more might be willing to donate (or offer at cost) a selection of foods and beverages in exchange for the promotional boost it provides their business during the holidays. Generosity and appreciation tend to work hand in hand during the holiday season. You might be surprised how easy and cost-effective it is to appreciate your employees while also generating goodwill with clients and vendors.